Anyone can suffer from depression and many famous people have; from Winston Churchill to Peter Sellers. Yet, depression and other forms of mental illness still remain the ‘elephant in the room’. Thankfully, today we don’t hide people with mental illness away in remote sanatoriums, but there is a still a huge stigma surrounding mental health issues. For a start, if you are hospitalised with any other illness, visitors will be queuing up to bring you flowers and grapes, but when you are hospitalised with depression, people seem to strangely have other things to do. If you have a friend, or a loved one, who suffers from depression, don’t run the other way, or ignore it, please read these ten simple things you can do to help them. ‘Get an early night and you feel better in the morning’, is not a way to help someone suffering from depression! Other great ones are ‘Come on, snap yourself out of it!’ or ‘Cheer up, it might never happen’. Depression is a serious illness and it can’t just be shaken off with a bit of willpower. If you make the problem sound trivial, you only make the person feel worse. Speaking from my own experience, there are times when all a depressed person wants to do is talk about it, but there are also times when all they need, is the space to be left alone. This can be very frustrating for a person who is trying to help them, but be led by what the person is telling you. After a while, a depressed person gets used to their illness and often knows what they need to do to get over a depressive episode. Depression is an illness and it’s an illness that can be treated. If you are concerned that a friend is severely depressed, then try and encourage them to go and see their GP. 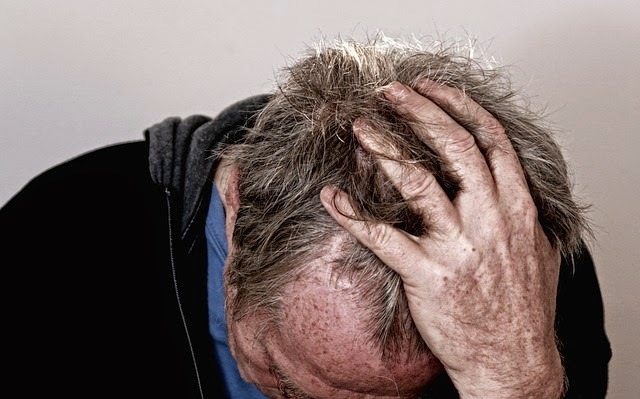 They may feel ashamed or embarrassed by their condition, or just think they are being silly, but GP’s are used to dealing with depression because it is so common. Medication and counselling can help and it doesn’t mean that your friend is mad! People do tend to shy away from other people who have depression and that is probably the worst thing that you could do. Depression makes you feel very isolated and lonely and it is important to know that you are not alone. Tell your friend that you will be there to help them, whenever they need that help and that they don’t have to fight this problem on their own. You might be tempted to go bowling straight in with a ‘let’s get this sorted out’ attitude, but that can be counterproductive too. If you try and make it sound too easy to solve all the problems that are getting a depressed person down, you might just make them feel even more inadequate and useless. Take it gently, and slowly, encourage your friend to tackle their problems one at a time, and only when they are ready to. A lot of depressed people blame themselves for their condition and then, yes, they get depressed about being depressed. You do feel pretty bloody useless when you are depressed, so you do blame yourself for anything and everything. Try to gently explain that (a) no one can help being depressed and (b) no-one is to blame. You do have to be a little bit sensitive about the topics for a discussion with a depressed person, but don’t take that too far. Even your depressed friend knows that life isn’t a bed of roses so you don’t need to pretend the world is full joy just for their benefit. In fact, getting their mind around some of your problems, might take their mind of their own. It is a well-known fact among sufferers of depression that the best doctors and nurses to treat depression are those that have suffered from depression themselves. This applies to friends and family too. It is far better to admit that you don’t really understand what a person is going through than to pretend that you do. In fact, the best question you can ask a depressed friend is ‘what can I do to help to you’. The smallest act of kindness can mean a hell of a lot, to a depressed person. A simple text to ask how your friend is, or popping in to see them on the way home from work, will cost you nothing, but it could lift your friend’s entire day. You can’t fix the depression for your friend, but you can make it just a little bit more bearable by these simple, thoughtful acts. To be honest a depressed person is not a lot of fun to be with sometimes, so you will need to be patient. If your depressed friend knows, though, that you are going to stick by them, however long it takes, then that might just give them the hope that they need. Hope is not something that a depressed person has a lot of, so give your friend a glimmer of hope, and you will have already been a big help.